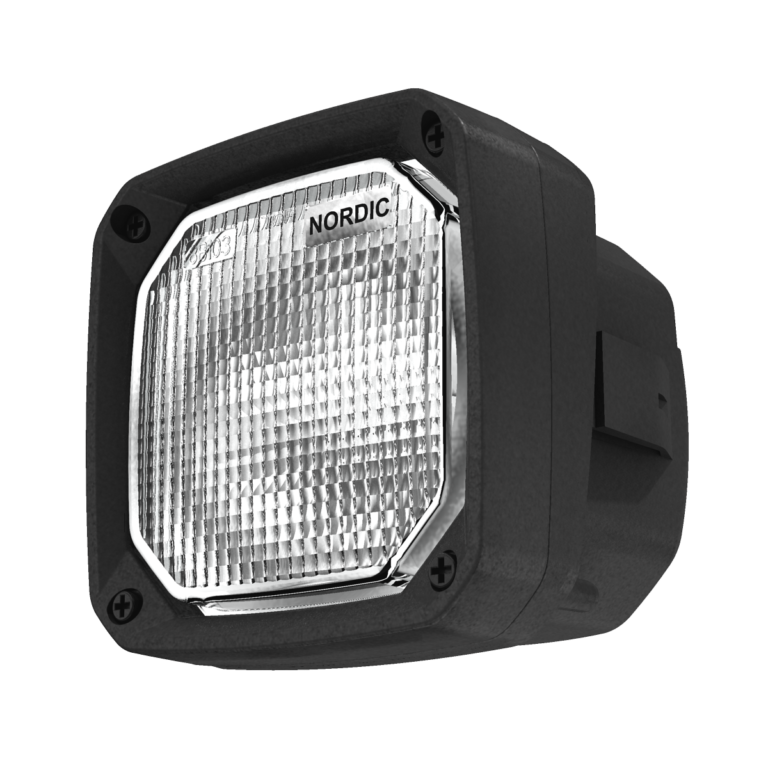 The NORDIC LIGHTS® N25 halogen flush mount is a compact and rugged work light suitable for a wide range of applications. 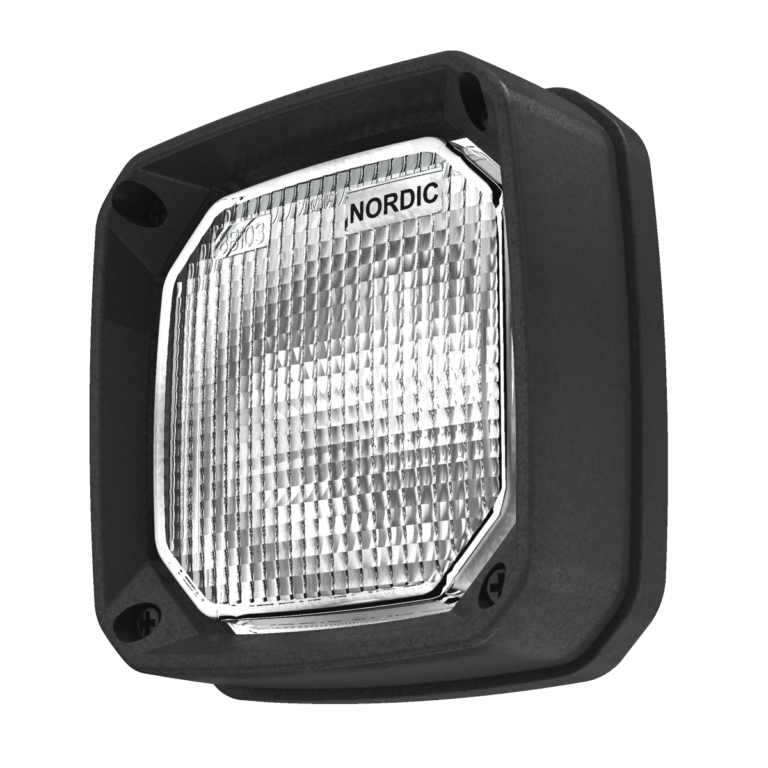 The N25 halogen flush mount is available in two versions: F0° or FB12° Snap-In. The N25 FB12° Snap-In features a “click-in” easy mount and polyamide rear housing for quick, cost-effective mounting.